Van Rijn Electric Ltd. offers quality workmanship and has an outstanding reputation of dedication to its customers. 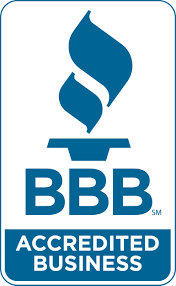 Our A+ rated (BBB) team has the expertise to make your visions a reality. Whatever your business or industry, our master electricians have the scope and skills to get the job done. Our highly trained master electricians specialize in the agricultural and irrigation sectors. From repair and design to electrical services for business, farms and irrigation, we do it all, we do it exceptionally well and we do it quickly. Our fast response time and wide range of services are at the heart of everything we do. We’re a family owned company that has been serving the electrical needs of Southern Albertans since 1986. We offer top-notch expertise and service as residential, commercial and agricultural electrical contractors. We comply with all OSHA, national, provincial and municipal safety regulations. 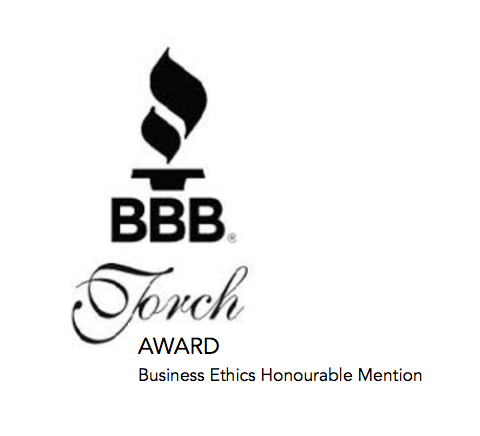 We have an A+ Rating with the Better Business Bureau and are BBB-recognized for our Business Ethics. My business utilizes a variety of electrical applications including computers in feedmills, variable-speed drives in water-pressure systems, complete design and wiring of feedlots, electrical turbine application, and pivot operation in irrigation systems. When I am considering a new building or a new endeavour that requires some form of electrical installation, or if I require any kind of electrical repairs or maintenance, I feel very comfortable making just one call: Van Rijn Electric. When we had our new home being built we had not used Van Rijn Electric in the past, but they came highly recommended. We said we were OK with that, and are very glad we did. When the electrician came to do the walk-through, we were more than impressed with his skill, people skills and general attitude. At the time, we were building a new shop and barn, so we asked Van Rijn Electric to put together a plan for the two new buildings as well. We were really impressed by the more than fair price and exceptional service. When it was time to upgrade some of the lighting in the garage. Van Rijn Electric was the only name that came to mind and only call we made. Yet again we were more than impressed by the time it took to receive a quote and have the work completed. The two young lads that came to the farm were polite, hardworking and a joy to have, and the work was again top-shelf. So if anyone out there is looking for fair prices and really great, dependable service, there is no doubt in my mind: VAN RIJN ELECTRIC! Our business has been dealing with Van Rijn Electric for over 10 years. The reason we use the services of Van Rijn Electric is because of their quality workmanship, knowledge and know-how of commercial and residential electrical, good workforce with an attitude that fits in to work with a building team, prompt response and meeting of deadlines and reasonable pricing. We recommend Van Rijn Electric for your next project.